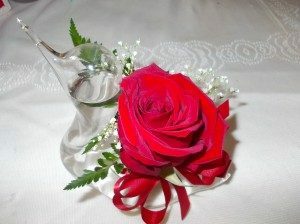 In Loving Memory Tributes on the WP Radio Show! Ariadne’s Notes: World Poetry Café went live for the first time ever to New Westminster, BC, Canada to celebrate our yearly program In Loving Memory with Ariadne Sawyer and Anita Aguirre Nieveras along with super tech Victor Schwartzman at the controls in Vancouver! 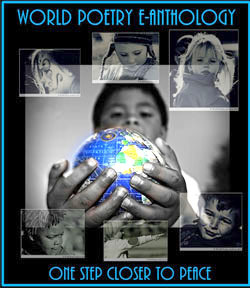 Each year World Poetry features a tribute to our World Poetry Lifetime Achievement Award winners who have passed on but are with us in spirit. LISTEN TO OUR FIRST OFF LOCATION SHOW HERE! *If anyone has a picture of Shulamit , please send it to me and I will post it. Featured on the In Loving Memory show: World Poetry Lifetime Achievement Award Winner Shulamit Joffre. Shulamit was a valued member of our World Poetry family. She was a mystical poet with a deep and abiding attraction to all things spiritual, believed that writing poetry was a condition of her birth. Born in Montreal, she lived and wrote in Vancouver, British Columbia. She shared her life with her husband Ray, their dog and cat. She also spent as much time as she could with her daughter Jessica and her grandson Nathaniel. Shulamit was a World Poetry Lifetime Achievement award winner and the organizer and host of the successful reading series, First Tuesday Assembly of Poets held at Chapters in downtown Vancouver. Syllables of Creation was her fourth book of poetry. 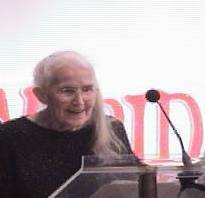 In Loving Memory: World Poetry Lifetime Achievement Award Winner and Crusader for Justice Dugald Christie. or a special program about the life and work of World Poetry Lifetime Achievement Award Winner poet and lawyer Dugald Christie. Christie often wrote poems about the justice system and presented them to lawyers and judges. 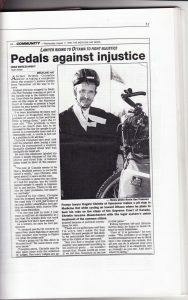 One of his published books, A Journey into Justice described his cycling trip to Ottawa, Ontario to burn his robes in protest. It also contains many poems. In loving Memory Tribute to Vera Manuel , First Nations Lifetime Achievement Award Winner, mentor to many. Vancouver-based Secwepemc-Ktunaxa playwright, poet, and storyteller. Vera was the eldest daughter of Grand Chief George Manuel, the first president of the National Indian Brotherhood. Her play, Strength of Indian Women was staged through-out North American and published as in the anthology Two Plays about Residential Schools (along with Larry Loyie). Her work was honoured with inclusion at the Native American Women Playwrights Program, housed at Maima University, in Oxford, Ohio. Her poetry has appeared in various publications, most recently in ROCKSALT: An Anthology of Contemporary B.C. Poetry. Vera was one of the inspirations along with Elder Gabriel Bartelman, MA lay faculty member for Ariadne for her thesis and mentor for an upcoming book, Love Poems for the World. In Loving Memory tribute to World Poetry Lifetime Achievement Award Winner, Madge Kimball of Salt Spring Island. An amazing pianist and beloved piano teacher as well as a poet, writer and mentor to many. Beloved mother of Ariadne Sawyer and her brother . Cherished wife and the inspiration of Hudson Kimball, Poet and writer. She moved 35 times in her lifetime, in various countries and was well loved by her students. Her Poems appeared in The World Poetry Anthology and other publications. This entry was posted in Ariadne's Notes, E-Poets, Featured Poets, General, World Poetry Lifetime Achievment Award Past and Present Winners. and tagged Anita Aguirre Nieveras, Author Sharon Rowe, CFRO 100.5 FM, Dugald Christie, International Peace Award Ariadne Sawyer, Madge Kimball, Shulamit Joffre, Vera Manuel, Victor Schwartzman, World Poetry Cafe Radio Show on January 4, 2018 by Ariadne.